Scores 26 Highway MPG and 18 City MPG! This Honda Pilot boasts a Regular Unleaded V-6 3.5 L/212 engine powering this Automatic transmission. GRAY, CLOTH SEAT TRIM, CRYSTAL BLACK PEARL, Wheels: 18 Alloy. *This Honda Pilot Comes Equipped with These Options *VSA Electronic Stability Control (ESC), Valet Function, Urethane Gear Shift Knob, Trip Computer, Transmission: 6-Speed Automatic, Transmission w/Driver Selectable Mode, Tires: 245/60R18 105H AS, Tire Specific Low Tire Pressure Warning, Tailgate/Rear Door Lock Included w/Power Door Locks, Systems Monitor. Boasts 26 Highway MPG and 18 City MPG! This Honda Pilot boasts a Regular Unleaded V-6 3.5 L/212 engine powering this Automatic transmission. Wheels: 18 Machine-Finished Alloy, VSA Electronic Stability Control (ESC), Valet Function. * This Honda Pilot Features the Following Options *Urethane Gear Shift Knob, Trip Computer, Transmission: 6-Speed Automatic, Transmission w/Driver Selectable Mode, Tires: 245/60R18 105H AS, Tire Specific Low Tire Pressure Warning, Tailgate/Rear Door Lock Included w/Power Door Locks, Systems Monitor, Strut Front Suspension w/Coil Springs, Steel Spare Wheel. Scores 26 Highway MPG and 18 City MPG! This Honda Pilot boasts a Regular Unleaded V-6 3.5 L/212 engine powering this Automatic transmission. Wheels: 18 Machine-Finished Alloy, VSA Electronic Stability Control (ESC), Valet Function. * This Honda Pilot Features the Following Options *Trunk/Hatch Auto-Latch, Trip Computer, Transmission: 6-Speed Automatic, Transmission w/Driver Selectable Mode, Tires: 245/60R18 105H AS, Tire Specific Low Tire Pressure Warning, Tailgate/Rear Door Lock Included w/Power Door Locks, Systems Monitor, Strut Front Suspension w/Coil Springs, Steel Spare Wheel. Boasts 26 Highway MPG and 18 City MPG! This Honda Pilot boasts a Regular Unleaded V-6 3.5 L/212 engine powering this Automatic transmission. Wheels: 18 Machine-Finished Alloy, VSA Electronic Stability Control (ESC), Valet Function. * This Honda Pilot Features the Following Options *Trunk/Hatch Auto-Latch, Trip Computer, Transmission: 6-Speed Automatic, Transmission w/Driver Selectable Mode, Tires: 245/60R18 105H AS, Tire Specific Low Tire Pressure Warning, Tailgate/Rear Door Lock Included w/Power Door Locks, Systems Monitor, Strut Front Suspension w/Coil Springs, Steel Spare Wheel. Boasts 26 Highway MPG and 18 City MPG! This Honda Pilot boasts a Regular Unleaded V-6 3.5 L/212 engine powering this Automatic transmission. WHITE DIAMOND PEARL, Wheels: 18 Machine-Finished Alloy, VSA Electronic Stability Control (ESC). *This Honda Pilot Comes Equipped with These Options *Valet Function, Trunk/Hatch Auto-Latch, Trip Computer, Transmission: 6-Speed Automatic, Transmission w/Driver Selectable Mode, Tires: 245/60R18 105H AS, Tire Specific Low Tire Pressure Warning, Tailgate/Rear Door Lock Included w/Power Door Locks, Systems Monitor, Strut Front Suspension w/Coil Springs. Delivers 26 Highway MPG and 18 City MPG! This Honda Pilot delivers a Regular Unleaded V-6 3.5 L/212 engine powering this Automatic transmission. WHITE DIAMOND PEARL, Wheels: 18 Machine-Finished Alloy, VSA Electronic Stability Control (ESC). *This Honda Pilot Comes Equipped with These Options *Valet Function, Trunk/Hatch Auto-Latch, Trip Computer, Transmission: 6-Speed Automatic, Transmission w/Driver Selectable Mode, Tires: 245/60R18 105H AS, Tire Specific Low Tire Pressure Warning, Tailgate/Rear Door Lock Included w/Power Door Locks, Systems Monitor, Strut Front Suspension w/Coil Springs. Boasts 26 Highway MPG and 18 City MPG! This Honda Pilot delivers a Regular Unleaded V-6 3.5 L/212 engine powering this Automatic transmission. WHITE DIAMOND PEARL, Wheels: 18 Machine-Finished Alloy, VSA Electronic Stability Control (ESC). * This Honda Pilot Features the Following Options *Valet Function, Trunk/Hatch Auto-Latch, Trip Computer, Transmission: 6-Speed Automatic, Transmission w/Driver Selectable Mode, Tires: 245/60R18 105H AS, Tire Specific Low Tire Pressure Warning, Tailgate/Rear Door Lock Included w/Power Door Locks, Systems Monitor, Strut Front Suspension w/Coil Springs. Scores 26 Highway MPG and 18 City MPG! This Honda Pilot delivers a Regular Unleaded V-6 3.5 L/212 engine powering this Automatic transmission. Wheels: 18 Machine-Finished Alloy, VSA Electronic Stability Control (ESC), Valet Function. *This Honda Pilot Comes Equipped with These Options *Trunk/Hatch Auto-Latch, Trip Computer, Transmission: 6-Speed Automatic, Transmission w/Driver Selectable Mode, Tires: 245/60R18 105H AS, Tire Specific Low Tire Pressure Warning, Tailgate/Rear Door Lock Included w/Power Door Locks, Systems Monitor, Strut Front Suspension w/Coil Springs, Steel Spare Wheel. Scores 26 Highway MPG and 18 City MPG! This Honda Pilot delivers a Regular Unleaded V-6 3.5 L/212 engine powering this Automatic transmission. LUNAR SILVER METALLIC, GRAY, LEATHER-TRIMMED SEATS, Wheels: 18 Machine-Finished Alloy. * This Honda Pilot Features the Following Options *VSA Electronic Stability Control (ESC), Valet Function, Trunk/Hatch Auto-Latch, Trip Computer, Transmission: 6-Speed Automatic, Transmission w/Driver Selectable Mode, Tires: 245/60R18 105H AS, Tire Specific Low Tire Pressure Warning, Tailgate/Rear Door Lock Included w/Power Door Locks, Systems Monitor. Boasts 26 Highway MPG and 18 City MPG! This Honda Pilot boasts a Regular Unleaded V-6 3.5 L/212 engine powering this Automatic transmission. LUNAR SILVER METALLIC, GRAY, LEATHER-TRIMMED SEATS, Wheels: 18 Machine-Finished Alloy. *This Honda Pilot Comes Equipped with These Options *VSA Electronic Stability Control (ESC), Valet Function, Turn-By-Turn Navigation Directions, Trunk/Hatch Auto-Latch, Trip Computer, Transmission: 6-Speed Automatic, Transmission w/Driver Selectable Mode, Tires: 245/60R18 105H AS, Tire Specific Low Tire Pressure Warning, Tailgate/Rear Door Lock Included w/Power Door Locks. Scores 26 Highway MPG and 19 City MPG! This Honda Pilot boasts a Regular Unleaded V-6 3.5 L/212 engine powering this Automatic transmission. WHITE DIAMOND PEARL, BEIGE, LEATHER-TRIMMED SEATS, BEIGE CARGO COVER. *This Honda Pilot Comes Equipped with These Options *Wheels: 20 Machine-Finished Alloy, VSA Electronic Stability Control (ESC), Voice Activated Dual Zone Front Automatic Air Conditioning, Valet Function, Trunk/Hatch Auto-Latch, Trip Computer, Transmission: 9-Speed Automatic -inc: Shift-By-Wire (SBW) and paddle shifters, Transmission w/Driver Selectable Mode, Tires: 245/50R20 102H AS, Tire Specific Low Tire Pressure Warning. Delivers 26 Highway MPG and 19 City MPG! This Honda Pilot delivers a Regular Unleaded V-6 3.5 L/212 engine powering this Automatic transmission. Wheels: 20 Machine-Finished Alloy, VSA Electronic Stability Control (ESC), Voice Activated Dual Zone Front Automatic Air Conditioning. * This Honda Pilot Features the Following Options *Valet Function, Trunk/Hatch Auto-Latch, Trip Computer, Transmission: 9-Speed Automatic -inc: Shift-By-Wire (SBW) and paddle shifters, Transmission w/Driver Selectable Mode, Tires: 245/50R20 102H AS, Tire Specific Low Tire Pressure Warning, Tailgate/Rear Door Lock Included w/Power Door Locks, Systems Monitor, Strut Front Suspension w/Coil Springs. Scores 26 Highway MPG and 19 City MPG! This Honda Pilot boasts a Regular Unleaded V-6 3.5 L/212 engine powering this Automatic transmission. Wheels: 20 Machine-Finished Alloy, VSA Electronic Stability Control (ESC), Voice Activated Dual Zone Front Automatic Air Conditioning. * This Honda Pilot Features the Following Options *Valet Function, Trunk/Hatch Auto-Latch, Trip Computer, Transmission: 9-Speed Automatic -inc: Shift-By-Wire (SBW) and paddle shifters, Transmission w/Driver Selectable Mode, Tires: 245/50R20 102H AS, Tire Specific Low Tire Pressure Warning, Tailgate/Rear Door Lock Included w/Power Door Locks, Systems Monitor, Strut Front Suspension w/Coil Springs. Delivers 26 Highway MPG and 19 City MPG! This Honda Pilot delivers a Regular Unleaded V-6 3.5 L/212 engine powering this Automatic transmission. Wheels: 20 Machine-Finished Alloy, VSA Electronic Stability Control (ESC), Voice Activated Dual Zone Front Automatic Air Conditioning. *This Honda Pilot Comes Equipped with These Options *Valet Function, Trunk/Hatch Auto-Latch, Trip Computer, Transmission: 9-Speed Automatic -inc: Shift-By-Wire (SBW) and paddle shifters, Transmission w/Driver Selectable Mode, Tires: 245/50R20 102H AS, Tire Specific Low Tire Pressure Warning, Tailgate/Rear Door Lock Included w/Power Door Locks, Systems Monitor, Strut Front Suspension w/Coil Springs. The new Honda Pilot is an eight-seater hit for families that’s perfect for Colorado drivers with available all-wheel drive, roof rails, and plenty of cargo space to bring sports equipment or traveling luggage. 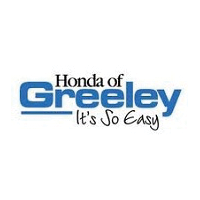 Call us at 970-363-8044 to make an appointment for a test drive or apply for financing at home to get started on your journey to buying a new Honda Pilot today!